Oregon Shipwrecks line the coast of Oregon. From the very north to the very south lay the remnants of shipwrecks that have occurred through out time and lie in wait for the sunset to stream through their bones and into your camera. 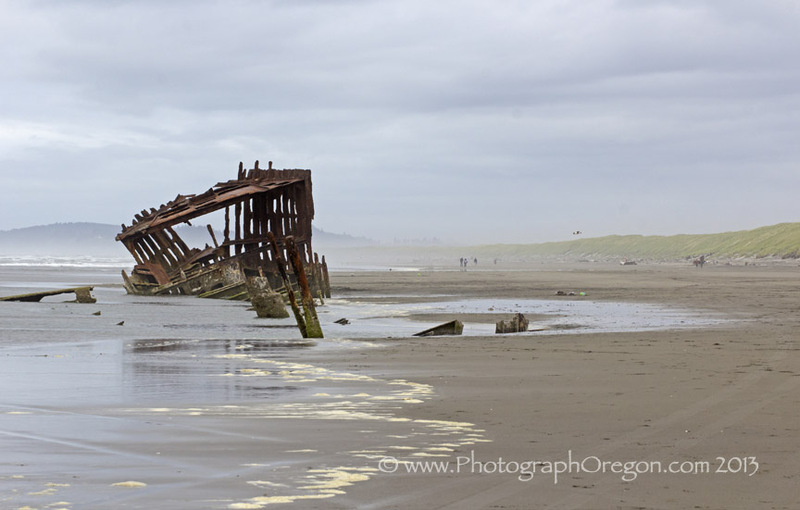 The Peter Iredale is probably, by it's size and photogenic nature, the most famous of the shipwrecks along the Oregon coast. High tide, low tide, day, night, sun, rain, kids or no kids. It's amazing. Always....amazing. Here's the story of how I accidentally photographed the shipwreck of the Mary D. Hume. The J. Marhoffer was a steamboat that wrecked on May 18, 1910 in Boiler Bay, just south of Lincoln City, Oregon. While on her way to Portland under the command of Captain Gustav Peterson, the ship caught fire and ran aground at what was then known as Brigg's Landing. Her boiler still sits in the small inlet and just north of Depoe Bay. Low tides often reveal the remains of the J. Marhoffer’s boiler. 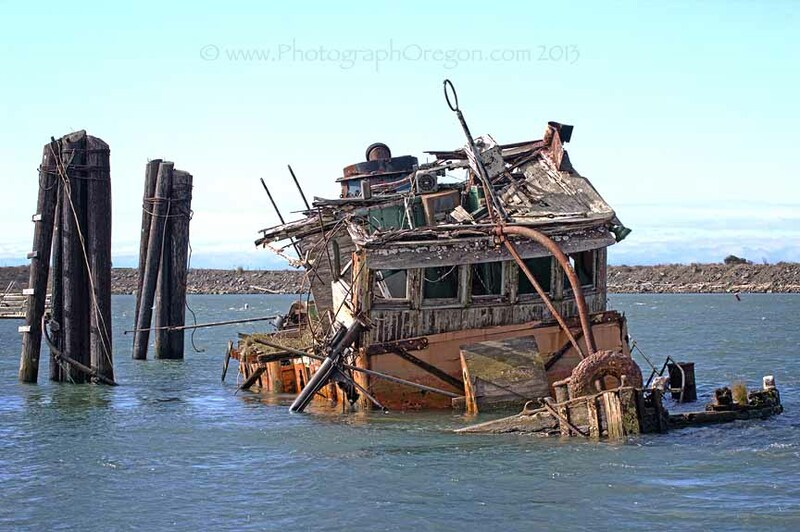 There are some great witness accounts and photographs of this Oregon shipwreck in this article. Early in the morning on Valentines Day, 1908, after 102 days at sea, the Emily G. Reed sailed too close to shore in poor weather and broke apart. The captain, his wife and six crew members, clung to the poop deck until low tide let them close enough to walk ashore. Four people took a lifeboat and floated north and came ashore at Neah Bay. Seven possibly eight sailors died in the wreck of the Emily G. Reed. Here is a good more in depth article on the wreck site of the Emily G. Reed. The Sujameco only recently reappeared in January of 2011, due to erosion and low tides. The Sujameco was constructed in 1920 by the submarine Boat Corporation of Newark, New Jersey. She was under charter to Transmarine Line, New York was used to haul goods in and out of Coos Bay. The Oregon ship was on her way from San Francisco to Coos Bay to pick up a load of furs to take back east, with a crew of 32 men and officers when she stranded in March of 1929 in heavy fog. The ensuing battle over the blame for this shipwreck, claims, and insurance salvage left the crew on board the stranded ship for several weeks as it sat in the sand. Here are some good reports and stories about the Oergon shipwreck, The Sujameco. I know there are a few more Oregon shipwrecks that I'm missing. Please, if you have more info and photographs of these shipwreck sites or and/or any others...please share them with us! Have you seen the shipwrecks? Please share with us your shipwreck adventures! Do you have some photos to ad? Great! Click the button and find the first one on your computer. Select it and click on the button to choose it.